April is National Lawn Care Month! At Hutcheson Horticultural Company, we are always celebrating lawn care. We find that our clients and customers ask great questions and sometimes search for tips to help keep their lawns beautiful. In honor of National Lawn Care Month, the Professional Landcare Network (PLANET) asked it’s members in the landscaping professional what some of the common myths are regarding lawn care. 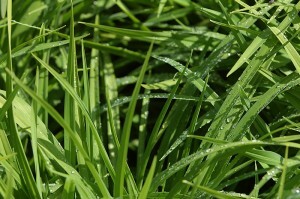 Below you will find five common lawn care myths. 1. Myth: Spring is the best time to replace the lawn. Many homeowners believe spring is the best time to replace the lawn as things are getting ready to green up and bloom for the season. Unfortunately, this is not the case at all. This new growth phase allows for weeds, such as crabgrass, to get the upper hand and take over as they fight for space. The best time to replace lawn, if you need to, is in the fall when weeds that would compete for space are dormant. 2. Myth: New plants need water each day to avoid drying out. Watering new plants each day can result in overwatering. Overwatering is just as likely to kill a plant as lack of water. This is a case of avoiding feast or famine, or drowning or dehydration. Watering plants to keep the soil moist enough for the roots to get the water is key. Depending on your climate, this may or may not require daily watering. 3. Myth: Dethatching should take place in the spring. Many homeowners believe the best time to dethatch, or remove the layers of dead grass between the soil and growing grass, is in the spring. According to the professionals at PLANET, dethatching should only take place when necessary as when thatch is excessive as the dead grass and roots will naturally move back into the ground as fresh growth takes over. 4. Myth: Remove clippings after mowing. This myth is as a result of the common belief that grass clippings add to thatch. However, returning clippings to the ground will actually help in providing natural fertilizer for the soil as clippings are decomposed and nutrients are returned. 5. Myth: Short grass is okay because golf courses cut their grass short. There are over 10,000 species of grass. 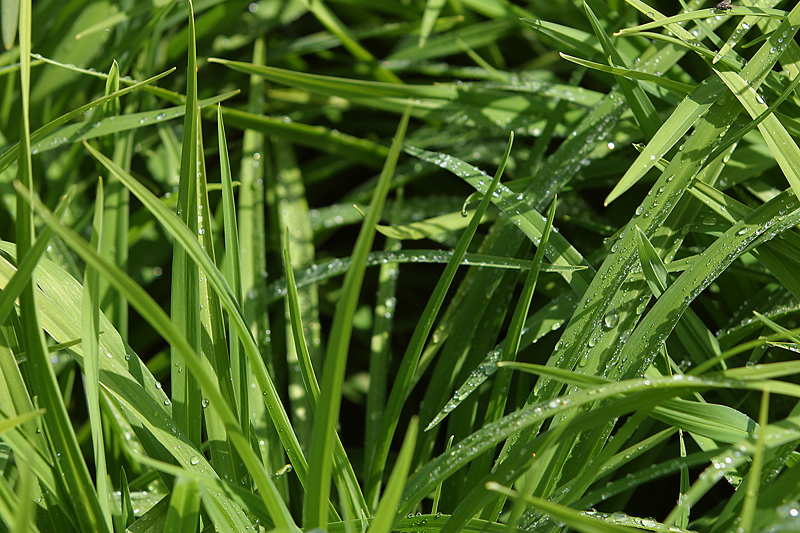 It is important that you do not cut grass too short, but that you are familiar with the specifications associated with the specific type of grass that is in your lawn. Golf courses are generally maintained by a highly trained and certified landscaping staff that has proper equipment to maintain the short grass. For more tips and to reference the original article from PLANET, visit loveyourlandscape.com. At Hutcheson Horticultural Company, we take pride in working with homeowners and businesses to design, install, and maintain a beautiful lawn and landscape. Contact us today for a consultation to make sure that your Atlanta lawn is one of the most beautiful around.